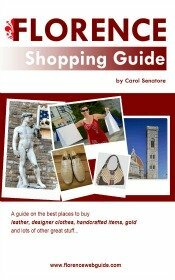 Events Calendar and What's On Guide for Firenze! Looking for the best things to do in Florence in October 2018? Here's the big picture in a flash about what's on in and around the city of Firenze at the start of the Fall season. October is often a month filled with lovely mild weather, and there are many events still being held all'aperto in town. Florence celebrates its first patron saint with the Feast of Santa Reparata. 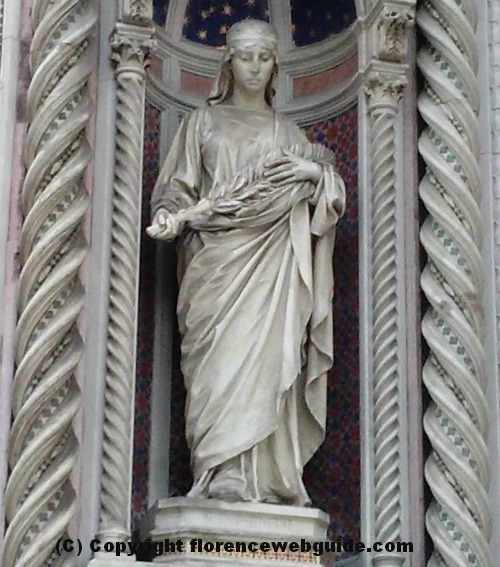 The city's first cathedral was dedicated to Saint Reparata and still today she is considered co-guardian of its people who remember her each October with local festivities. City tours let you discover the fascinating history that took place during the Renaissance, the classical music and opera season is back in full swing, and the lines at the world renown Florence museums actually become doable! 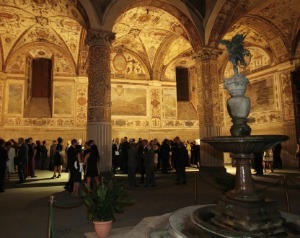 The 'Biennale dell'Antiquariato di Firenze' has reached its 31st edition! 'Biennale' means bi-annual, so this event is held every 2 years, the next being year 2019. By now, this exhibit has become the most important antique fair in Italy. The location alone is worth the price of the ticket: held in the elegant Palazzo Corsini (1600's) situated along the lungarno overlooking the river, the fair is the only occasion locals and visitors have to enter this magnificent location. 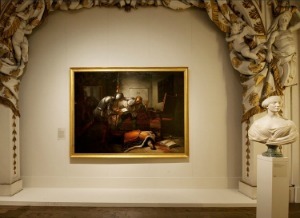 With paintings, sculpture, furniture, porcelain, jewellery, antique fabrics, and over 5000 display pieces (including some rare gems such as renaissance paintings from the 1400's) the exhibit is more like a temporary museum than an antiques trade show. Not to be missed is the closing night fireworks show off the Arno! more info at official site about this special bi-annual event, one of the best things to do in Florence in October 2019! What are the best things to do in Florence in October? The date of October 8th commemorates Santa Reparata in Firenze. 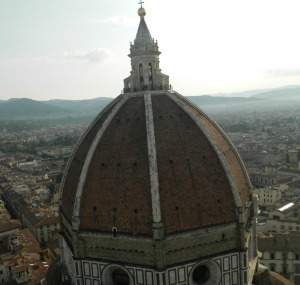 The city's first cathedral was named after this saint who remains, still today, a co-patron of Florence. In ancient times the festivities on this day included two races: one on horseback and one on foot, both running across the city. Nowadays, in remembrance of these races, a modern-day foot race is held which starts and ends in piazza San Giovanni, in front of the Duomo. Runners in the race are picked among the local footballers, and the competition is kicked off by a marching procession of the Florentine Republic dressed in period costume. The procession leaves from piazza di Parte Guelfa (near piazza Repubblica) and marches on towards the Duomo at 4 pm. This is a real occasion to take part in one of the more traditional things to do in Florence in October! Ceramics artisans from all over the world show their skills and wares at the 2018 edition of the annual pottery fair, 'Fiera Internazionale della Ceramica'. This international ceramics fair is one of the best things to do in Florence for those who appreciate master craftsmanship and the best of made-in-Italy and abroad. The fair features top Italian ceramicists as well as the best of England, Japan, the USA, Russia, France, Germany, Spain and many other countries as well. Items cover a wide range of pottery: rustic ceramics, majolica, fine porcelain as well as gres and raku pieces that go from the classics (platters, bowls, mugs, etc) to jewellery and decorative objects large and small. 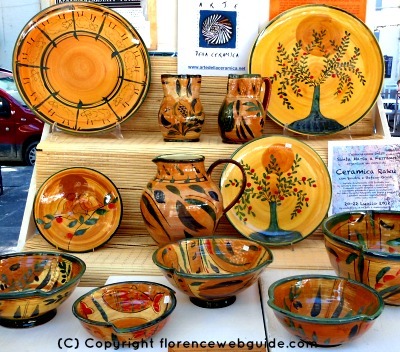 Don't miss out on this open-air ceramics fair held in one of the city's loveliest piazze! Tip for those traveling with children! 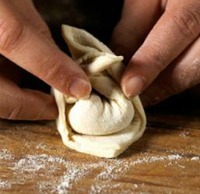 In morning and afternoon there is a free workshop for kids to learn how to work clay and make their own ceramic pieces! 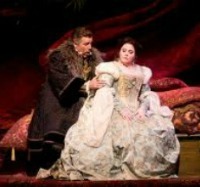 Florence's annual music festival, Maggio Musicale, is famous the world over. 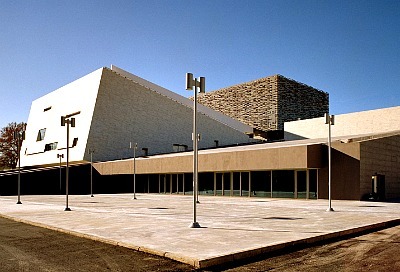 Now, it has a new home, the Teatro dell'Opera di Firenze, the city's modern music hall. In October the program includes the opera 'Le Villi', the first operatic work by Giacomo Puccini, which was first performed in 1884. 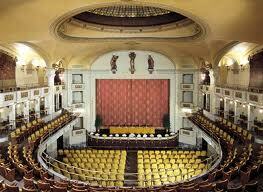 The Music Hall is right off the Cascine park, easy to get to and has plenty of parking. If you're a fan of classical music or opera don't miss out on the chance to take in an authentic Italian production of your favorite pieces! 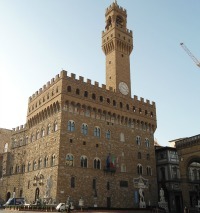 One of the really special things to do in Florence in October is to see live performances by top-notch professional singers and musicians at one of the historic locations in the city. Operas and concerts are staged in the small cozy setting of local antique churches or in a small auditorium right near the Duomo in the heart of town. These intimate settings let you see the performers up close and allow you to really get involved in what's happening on the stage. If you're worried about not understanding, don't be: the narrator keeps you up to date on the story line, so you can just sit back and enjoy! 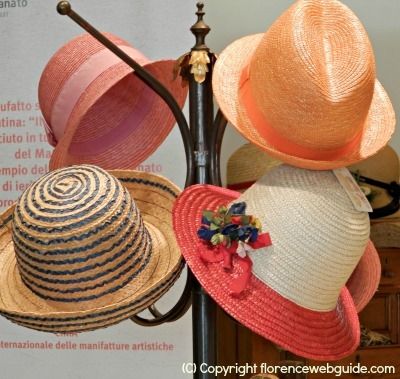 For appreciators of handmade goods and original ideas, Firenze offers the very special 'Florence Creativity' fair dedicated to bringing one's imagination to life. Objects of every type (clothing, knick-knacks, accessories, interior design goods....) made of any and all types of materials will be on display and available for purchase. But there's not just admiring to do, you can try your own hand at creating with the many courses and demos going on throughout the day: costume jewelry workshops, cake decoration exhibits and paper-machè classes are just a few examples. 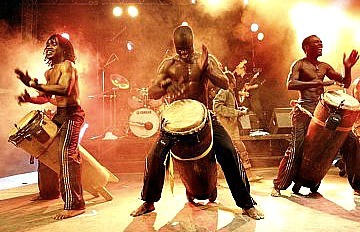 In its 13th edition, this festival is growing more popular every year! This bi-annual event is one of the wonderful things to do in Florence in October for the artistically minded visitor. The Biennale is a forum for artists of all types coming from all over the globe to showcase their unique talents in a city as renowned for art as Firenze. Reaching its twelth edition, the Biennale is an independent self-financed platform for contemporary art, a must for anyone looking for something off-the-beaten-path in town! 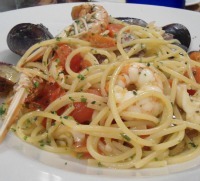 Soccer - Root for the Local Team, AC Fiorentina! Want to do something really different while you're here? 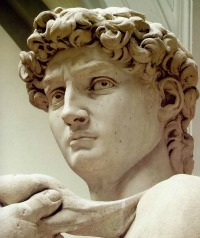 This is one of the most fun things to do in Florence with kids or teenagers too! A truly memorable experience is to take in a soccer match and support the local team live at the football stadium. You have not seen Italians get excited until you have been to a soccer match!! Wednesday October 31, 7:30 pm AC Fiorentina is up against Chelsea FC from the UK, a Women's Champion's League match, not to be missed! Going to the stadium is one of the most popular things to do in Florence in October! Gregorian chants are sacred songs and liturgical music used originally to accompany mass as far back as the 7th and 8th centuries. Sung in Latin with no musical accompaniment, Gregorian chants focus purely on the human voice and spirit of interpretation of the Medieval songs. 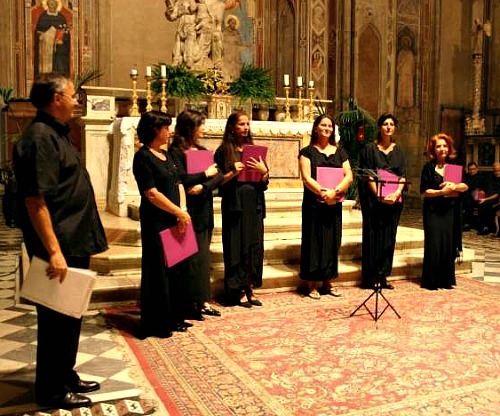 The Viri Galilaei chorus has been performing this traditional Christian music for many years in Tuscany. One of the special things to do in Florence in October is to see and hear them perform in the antique churches of Firenze. Performance conducted by E. Ventroni. 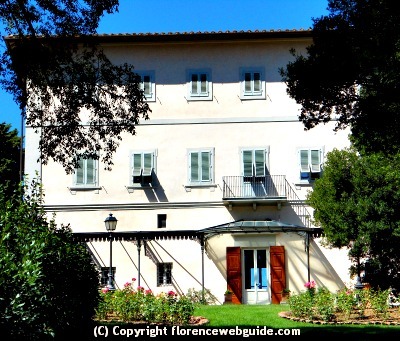 Looking for interesting things to do in Florence in October besides museums? The Bardini Villa, a sumptuous residence just over the river yet easily reached on foot, is holding opera concerts in which duets and popular arias from the most loved operas are performed. Depending on the weather performances are held in the lush Italian garden (some of the best views of Florence are from this vantage point!) or in one of the villa rooms. 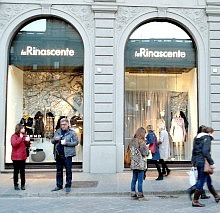 Looking for things to do in Florence in October for couples? How about cuddling up at one of the city's oldest movie houses while watching a film in original language (English, French, Spanish might all be on the calendar.....). The Odeon theater is one of the few remaining old-fashioned movie houses with large comfy plush seats, high ceilings and elegant finishings, a perfect place to spend a romantic evening in Florence! See what's playing in October by checking out the official calendar of movies that are on. 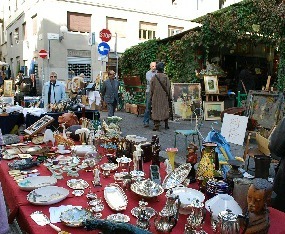 The antiques market is open all year round in piazza dei Ciompi, but on the last Sunday of the month it triples in size. The usual stalls - half open, half covered - spill out onto the streets, sidewalks and just about any available spot in and around this famous Florence square. The market focuses for the most part on antique furniture, but you can also find artwork, jewellery, books and magazines and all sorts of decorative furnishings for the home. This is another of the fun things to do in Florence in October for free for travellers on a budget!